Our rubbish clearance service in Clapham Junction, Clapham Common, Clapham North, Clapham South and areas surrounding SW4 is operated by friendly, helpful drivers who undertake all types of rubbish clearance excluding hazardous waste. We operate a wait and load service which works out much more efficient than hiring a skip in Clapham. If you want to hire a skip in Clapham you have to apply for a skip licence from Lambeth council. 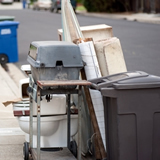 Our rubbish clearance service avoids the need for a skip licence. All rubbish collected in Clapham area and other parts of SW4 is taken to Wandsworth Council Municipal Waste Transfer station in Nine Elms. Where it is graded for recycling if possible. 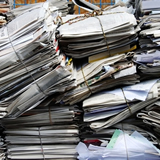 We can supply copies of our waste transfer documents if required.